Reigning New Zealand KZ2 class Sprint champion Dylan Drysdale heads an eight-strong Kiwi contingent which will compete at Australia’s annual Race of Stars meeting on the Gold Coast this weekend. Joining the 18-year-old in the premier 6-speed/125cc KZ2 class are top female driver Madeline Stewart from Wellington and fellow teen Taylor Harte from Tauranga, while Madeline’s sister Ashleigh is running in the direct drive TaG 125 class. 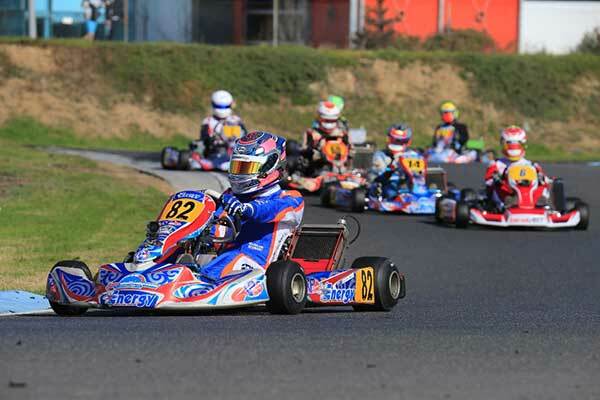 The other Kiwis in the squad are all Juniors with Connor Davison from Hamilton stepping up to the KA2 class for the meeting, and Liam Sceats and Luke Thompson from Auckland and Emerson Vincent from Pukekohe all running in Cadet 12. 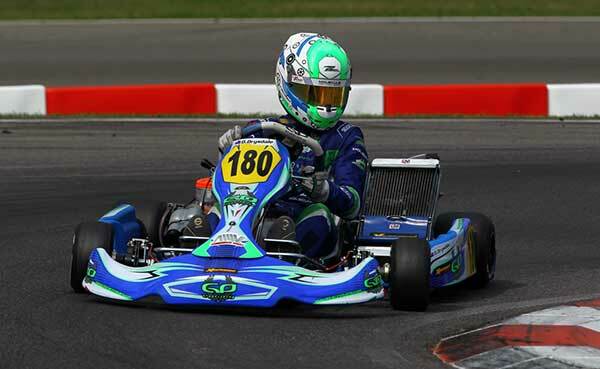 Last year Liam Sceats was one of the stars in the Cadet 12 class, the youngster qualifying sixth quickest in a 32-strong field and earning an event-best third place in the first heat, before fifths in both the second heat and the class Final. 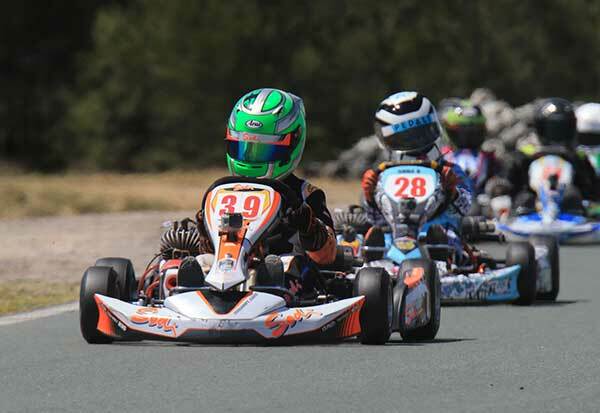 The Race of Stars event, held at the privately-owned Xtreme Karting Complex at Pimpama, has consistently attracted some of the best European karters and this year’s is no different. Recently-crowned and now two-time CIK-FIA World KZ class Champion Paolo De Conto heads a star-studded line-up which also includes fellow Italian, and multi-time former World Karting Champion David Fore, former European champion Rick Dreezen, European and Swedish champion Joel Johannson, and Dutch Karting Champion Marijn Kremers. As such all eight Kiwi karters are excited to be competing at the meeting, no more so than the Stewart sisters, Madeline and Ashleigh. Though it is the sisters’ first time at the meeting Madeline will have some high-profile help in her pit in the form of Bathurst weekend Dunlop Super2 Supercar class race winner Macauley Jones. 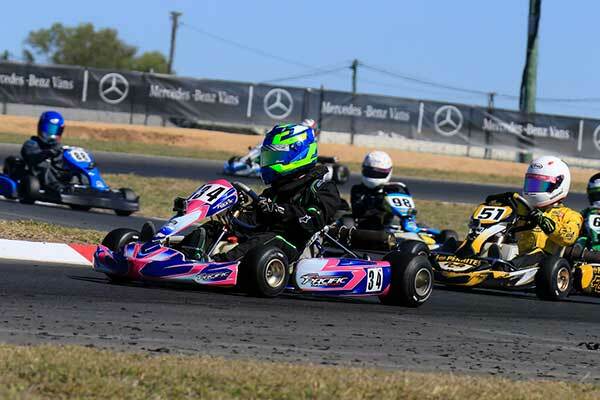 Macauley has been supplementing his Super2 campaign with racing KZ2 at rounds of this year’s Australian Karting Championship, and has been mentoring Madeline during the year. With the Race of Stars meeting falling between Bathurst and the Gold Coast 600, the young second-generation racer has chosen not to race himself but rather be there to mechanic and help Madeline again. Another high profile racer working behind the scenes this weekend is Kiwi KZ2 ace Daniel Bray. Former KZ2 class runner-up Daniel Bray will this year focus on his burgeoning engine building and tuning business, Split Second Race Engines. As well as looking after the engines of fellow N-Zed Motorsport team driver Dylan Drysdale, and top Australian KZ2 class runner Troy Loeskow, this weekend Bray will also be responsible for the engines of visiting Europeans Marijn Kremers and Rick Dreezen. The three-day meeting is part of the big SuperFest promotion leading up to the Castrol Gold Coast 600 Supercar race on the streets of Surfers Paradise over the October 21-22 weekend.